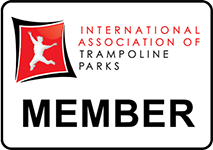 $1.5M EBITDA (2) Indoor Trampoline Franchises. Lots of growth to come. Tremendous opportunity to acquire 2 FRANCHISED Indoor Trampoline Parks within a proven system having evolved into a large scale concept. The parks are situated less than an hour drive from each other. SKY ZONE is the leader in trampoline parks. The model caters to individuals of all ages. Profits generated are FANTASTIC! The franchised system provides many opportunities to its Franchisees not available to independent operations. This is one of the hottest, fastest growing, and most profitable, types of retail businesses to hit the market in years. It’s very simple to operate, maintain, and features extremely strong cash flow and profits. FRANCHISED Hi Tech Indoor Trampoline Parks with large open and supreme trampoline jump areas, trampoline dodge ball court, basketball, and fitness programs. Offering fund raisers and birthday parties. The business has gained a strong reputation for providing a great family entertainment experience. This high profitability opportunity is set up for a new owner to take over immediately and continue to enjoy the benefits of the previous owner’s hard work. Great location and strong service staff make this a turn-key opportunity. State of the art equipment and POS. Complete management team in place. 1) Download or open the Confidentiality Form located in the Attached Documents section below. 2) Complete the Confidentiality Form and return it to us via the fax number or email address listed on the bottom of the Confidentiality Form. 3) Upon our receipt of your completed Confidentiality Form, we will contact you and provide you specific data for this business opportunity. Support and Training: Seller will provide necessary assistance to assure a smooth transition. The Franchisor also provides training to new Franchisees.